The Supreme Court on Monday sought the Centre’s view on the establishment of a national-level body/institute for the purpose of child protection and rehabilitation. The bench of Justice Madan B. Lokur and Justice Deepak Gupta was dealing with the unfortunate episode in which 34 girls were allegedly raped and sexually abused in a shelter home run by a NGO at Muzaffarpur in Bihar. “Like we have the National Judicial Academy for continuing legal education, can you think Of some academy, expert body or a center of excellence for child protection? Like there is the National Institute of Criminology, we need one national solution, one body which can take care of all things"
"The institution could be in the nature of a centre of excellence or some institutional body which can look into various aspects in the life of disadvantaged children including investigation into offences committed by or against children, trial procedures, punishment, psycho-social rehabilitation, physical rehabilitation, mental trauma, physical well-being, training to the prosecutors, 4 counsellors, all professionals, etc. etc. etc. She says that she will take instructions in this regard and get back to us within four weeks since consultations may have to be held with various departments of the Government of India". “There was this report in the newspaper about a 6 month old baby raped in Rajasthan....how can you treat a child like that? What is the kind of rehabilitation offered? These are the problems we hear of day in and day out”, continued the judge passionately. While conveying the willingness in principle to set up such an institute, ASG Pinky Anand sought four weeks’ time to seek instructions for a comprehensive reply. She suggested broadening the scope of activity of an existing, related institution than creating a new, separate body. 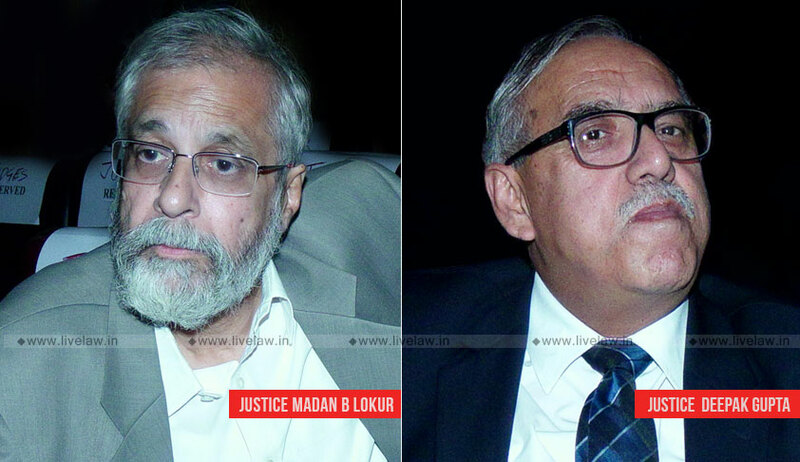 “Ma’am, you have to do something now”, said Justice Lokur to The Joint Secretary to the Ministry of Women and Child Development (MWCD), present in court on Monday in pursuance of the direction of the bench. She also suggested a vertical structure for child protection using existing resources and facilities, with the bench stressing on the urgency and the need to involve the expert members. “We are on the same page. We will need some time but we would be happy to share guidelines which will act as advisories on child protection (including medical assistance, rehabilitation, counselling, arrangement of resources) for all states....we will come out with an interim advisory so that there is at least some process in the meantime....”, assured the ASG. The bench on Monday recorded this submission for a SOP to tackle “situations where there is some destruction in the life of children in the child care institutions and even other children who may have destruction in their life due to violence, sexual or otherwise”, including the proposal for an interim advisory to all the State Governments/Union Territories giving the protocol to be followed. It also sought a status report of the existence of Child Welfare Committees, stressing on the training of their members, as well as the functioning of the Juvenile Justice Boards. Justice Gupta also weighed in that licensed counselors associated with child rehabilitation, besides merely possessing a degree in psychology, also train for a while under the supervision of professionals.